I can’t say enough about this pull-apart Bread…It is absolutely delicious! Buttery, garlicky, and made easy with the help of two loaves of frozen bread dough. 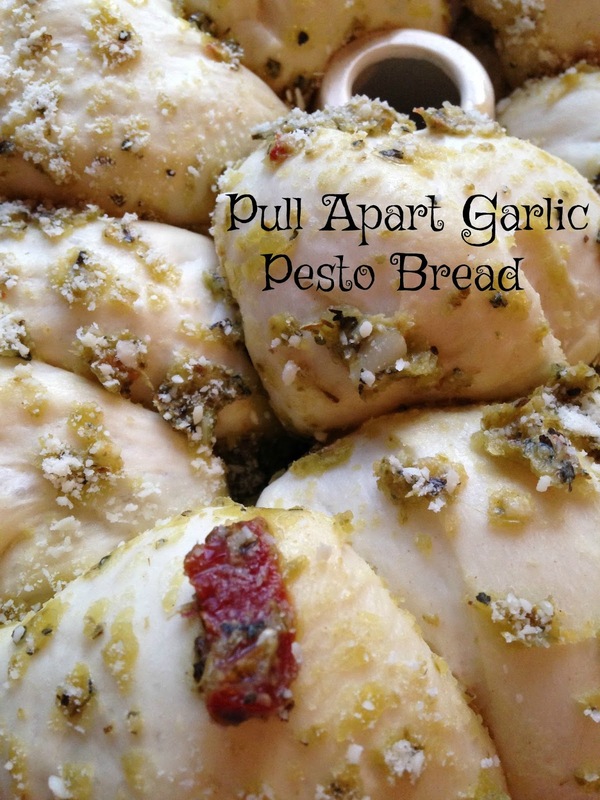 Pesto sauce and sun-dried tomatoes adds just the right amount of flavor boost that takes this pull apart bread from Wow to OMG this is Beyond Fantastic bread. If you are a bread freak like me, you will no doubt go crazy over this Pull Apart Pesto Garlic Bread…. Pull Apart Pesto Garlic Bread goes with any Italian style meal. It would be perfect with lasagna, spaghetti and meatballs, baked zita, the list goes on and on. This pull apart bread is also delicious all by itself. 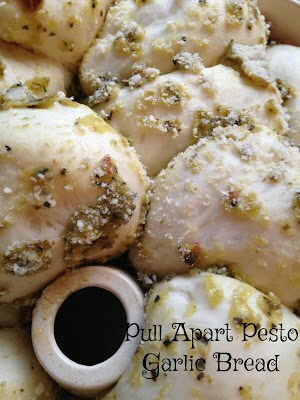 Take the pull apart bread out of the oven, turn it upside down on a serving plate, start pulling it apart and enjoy. Grease a 10 inch bundt pan with oil from jar of sun-dried tomatoes or use non-stick cooking spray. Place thawed bread on a lightly floured surface. Cut each loaf into 16 pieces, (32 pieces total). 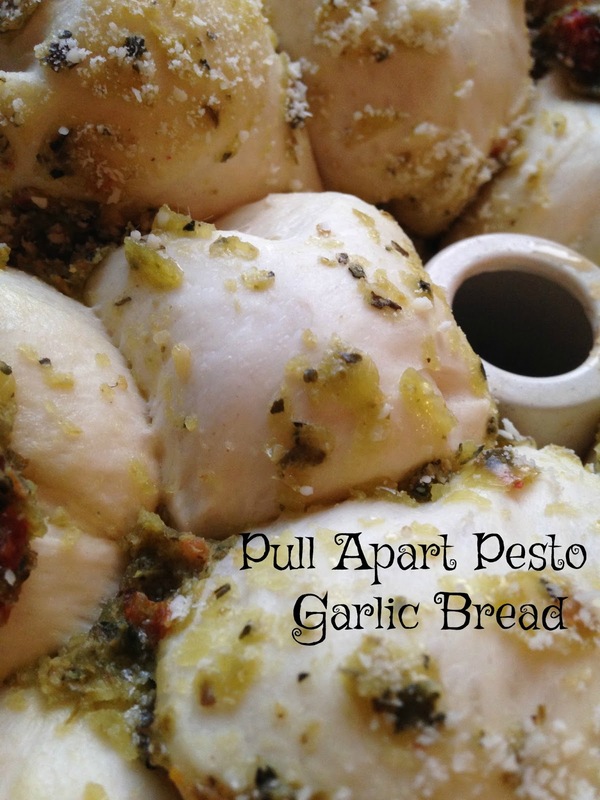 Melt butter, add minced garlic, parsley, basil, oregano, Italian seasoning, pesto and diced sun dried tomatoes. To bake: preheat oven to 375º Bake for 30 to 35 minutes or until golden brown.